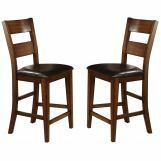 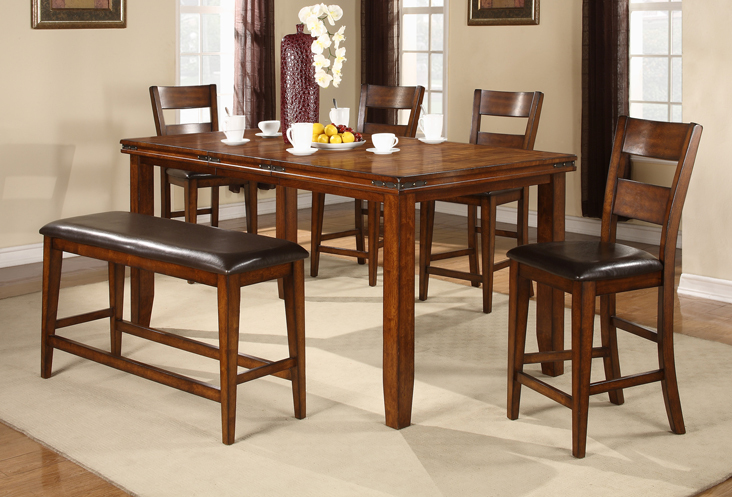 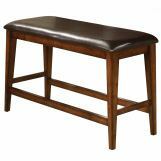 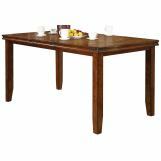 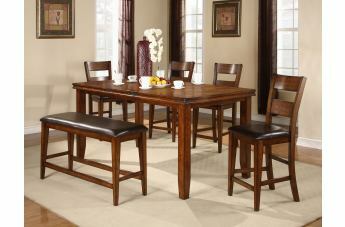 Sturdy and stately design can be added to the dining or bar area in your home with the smart Figaro collection. 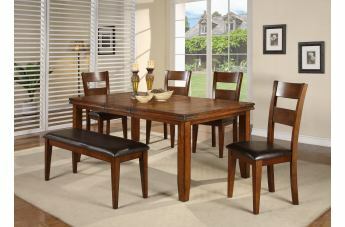 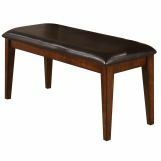 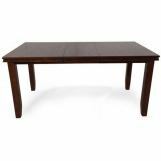 Featuring both a dining room group and a counter height table group, outfitted in a rich medium brown finish, as well as thick block construction and metal accents, this group has echoes of mission design styling making it a strong but welcoming statement in your home. 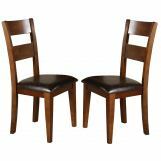 Plush upholstered seats on all of the seating additions in this collection make it as comfortable as it is aesthetically gorgeous furniture for your home.